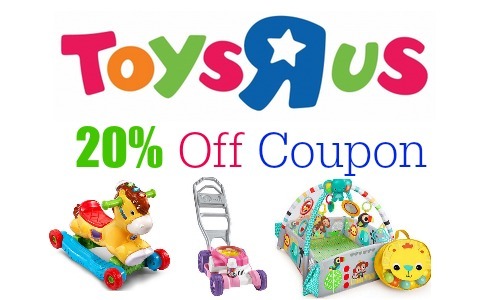 You can print a coupon good for 20% off your Clearance Toy Purchase in-store at ToysRUs. Do note some exclusions apply so be sure to check the fine print. This coupon is limited to one per customer and one-time use only. Go ahead and print your coupon while available.